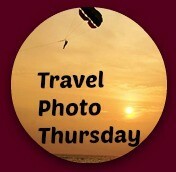 Welcome to week 262 (1/14/2016) of Travel Photo Thursday. 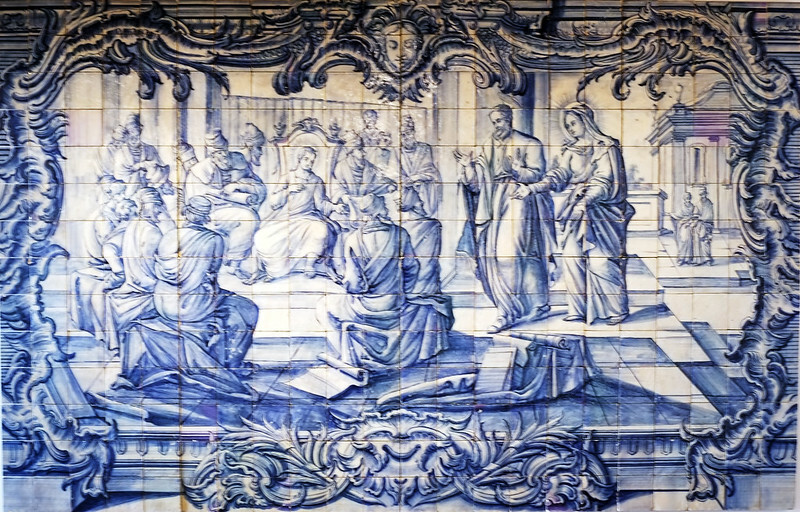 This week, please join me on a photo tour of Lisbon's fascinatingly beautiful National Tile Museum. Visiting this museum was high on my list and I was not disappointed. Both the museum's stunning historical home and it's breathtaking contents are worthy of a few hours of any visitor's time. Welcome to week 262 (1/14/2016) of Travel Photo Thursday. 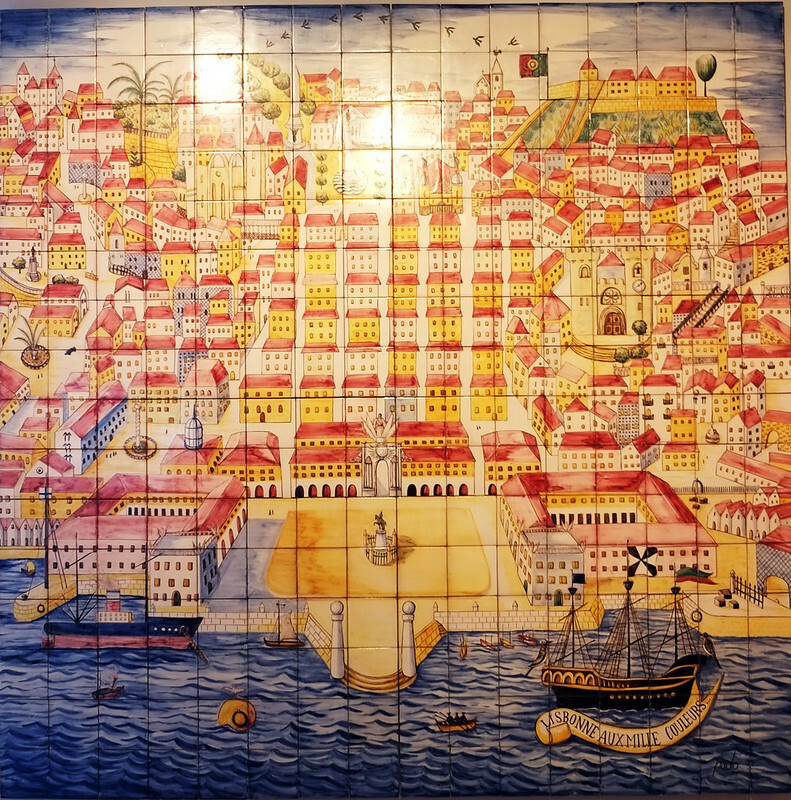 This week, please join me on a photo tour of Lisbon’s fascinatingly beautiful National Tile Museum. Visiting this museum was high on my list and I was not disappointed. 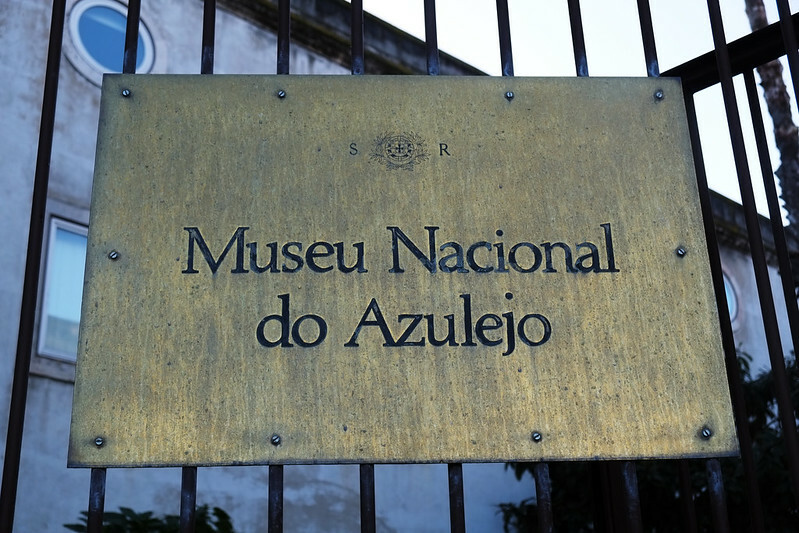 Both the museum’s stunning historical home and it’s breathtaking contents are worthy of a few hours of any visitor’s time. Only one link per blog, please. 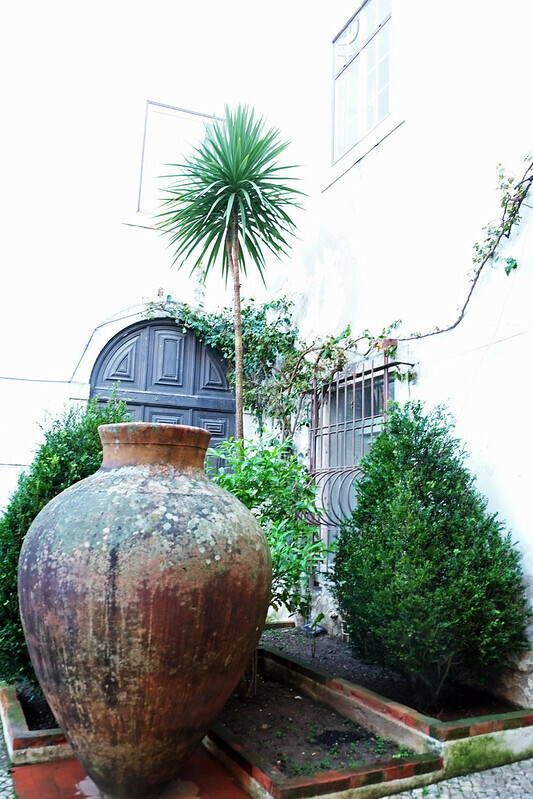 The interior courtyard close to the entrance of the National Tile Museum. Love the pot! The beautifully tiled stairwells are not to be missed! The museum is a storehouse of stunningly displayed tiles, both ancient and modern. This collage shows off some of the more ancient. Rich in details, the tiles often tell a story. Easy to let your imagination run wild here! Welcoming visitors to the next exhibition hall. 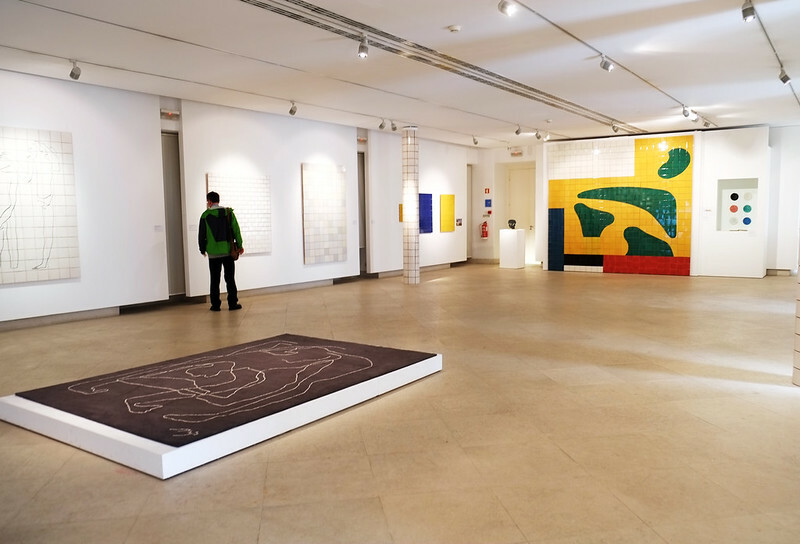 You’ll find the work of today’s tile designer housed in this bright new shiny gallery. The tiles are lovely, but my interest lies more with the older tiles. 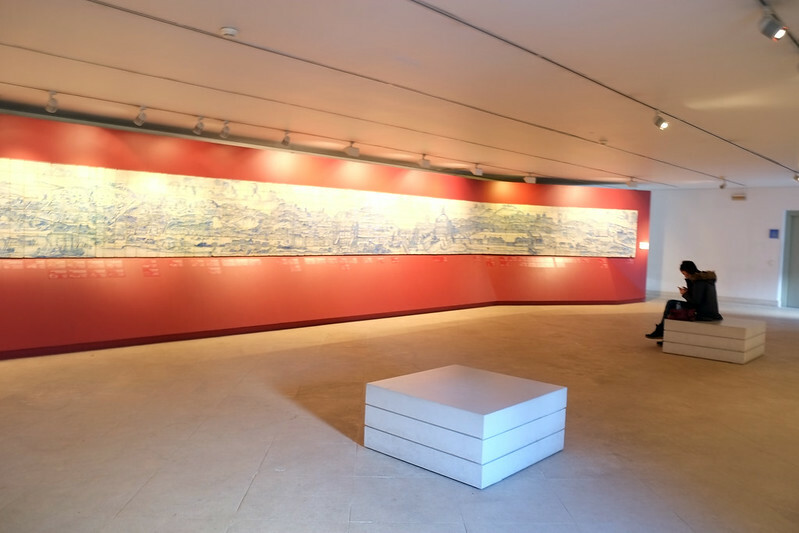 Don’t miss the top floor, which houses a panoramic mosaic of Lisbon before the 1755 earthquake. Interesting to visualize what the city looked like way back then. Looking down from the second floor. Through the windows in the arches, notice the two women artisans restoring tiles. This garden was closed due to rain. It would have been nice to watch the artisans up close. 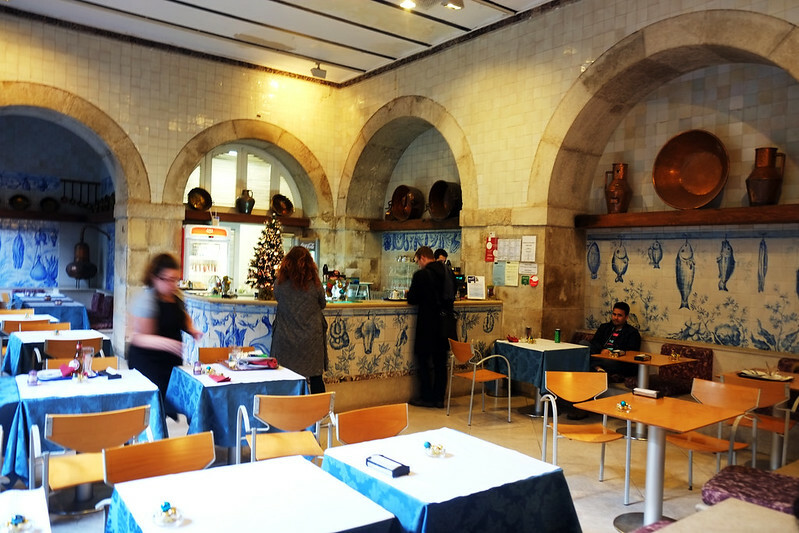 The cafeteria boosts some beautiful tiles, and the coffee is good too! There is a garden off the cafeteria. I was able to wander around it, but because of the rain there was no seating. 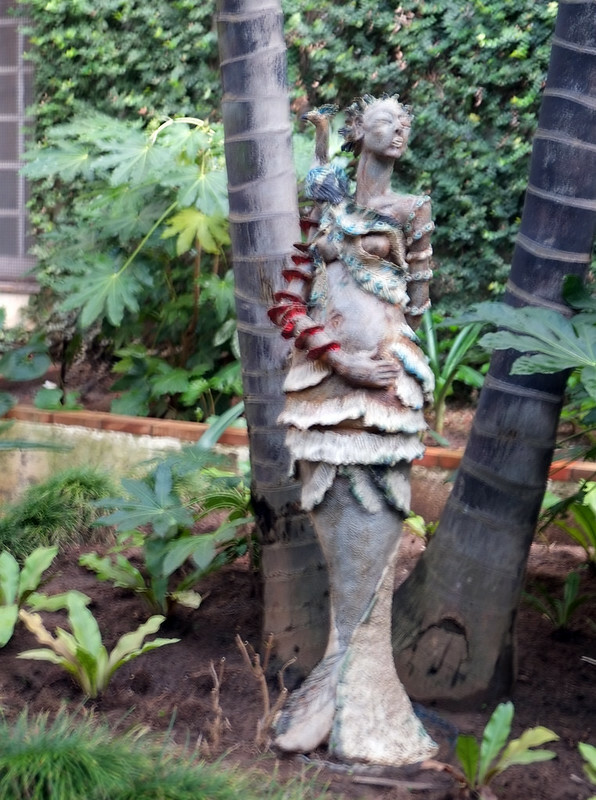 I love this garden statue. One last beautiful tile to leave you with. Tuesday to Sunday from 10h00 to 18h00. Closed: Mondays, Easter Sunday and the holidays: New Year’s Day, May 1st and Christmas Day. Train: Santa Apolonia Station 20 m. walk), connection by bus. Metro: Santa Apolonia Station 820 m. walk), connection by bus. 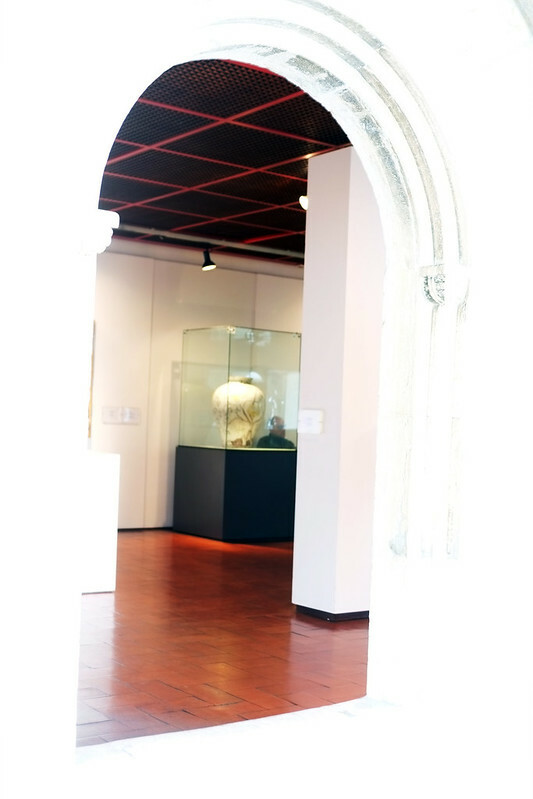 This museum has new accessibilities that allow the disabled visitors, through the installation of ramps, to visit all spaces opened to the public such as the restaurant, exhibition sites and the church. 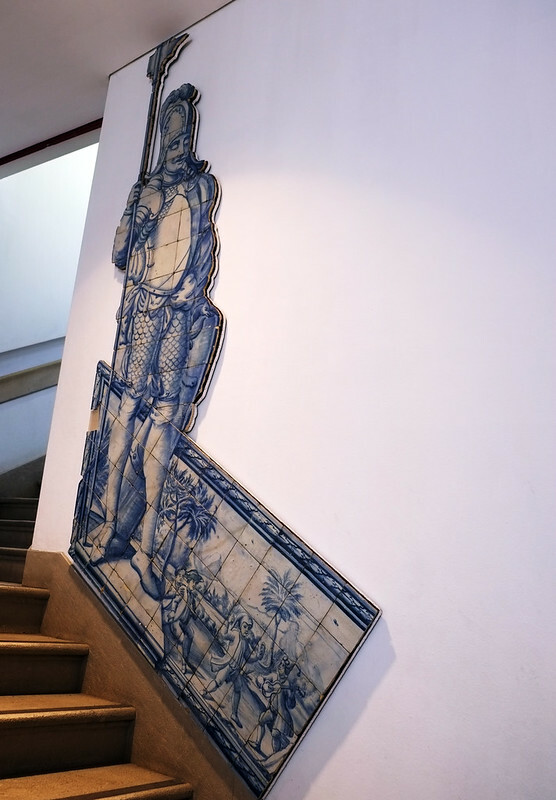 Have you been to the National Tile Museum in Lisbon? Nancie, This looks like such a fabulous museum! I’m sorry we missed it when we went to Lisbon. Hi Corinne! If you ever go back, add it to your must visit list. One of my favorite museums in the city. 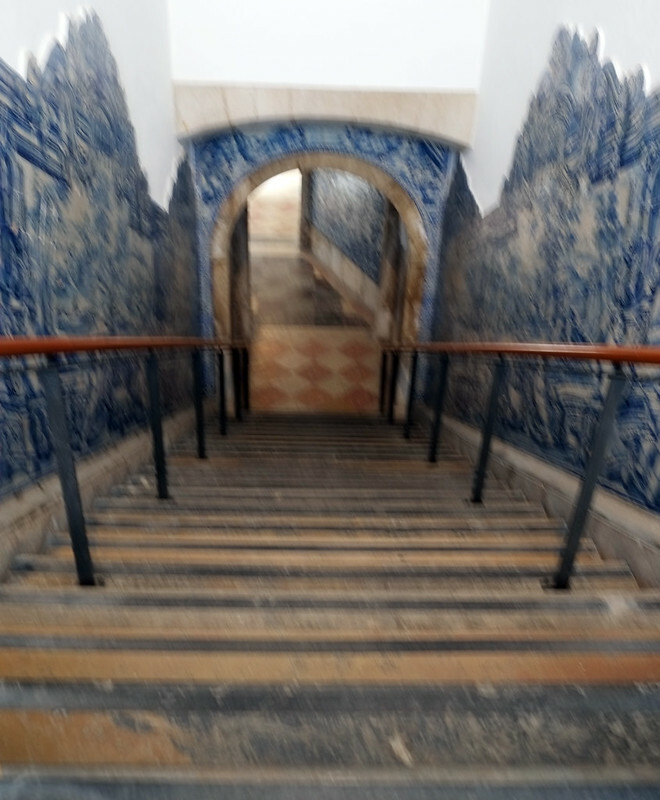 I noticed those blue tiles in Sintra, especially. Love how they seem to tell a story. Those old tiles are so beautiful that I wouldn’t mind having something similar in my kitchen. The more modern tiles really aren’t to my taste, though. Too bad the gardens were closed as what you showed us looks pretty. These old tiles are gorgeous. Amazing workmanship. What a pitty you weren’t able to go down and watch the artisans at work repairing the tiles. What a wonderful place to visit. Thank you for taking us there. Happy travels. I think the contrast in the building is amazing, this old rustic chateau on the exterior and a modern, bright gallery on the inside. Nancy, this is such a gorgeous place. 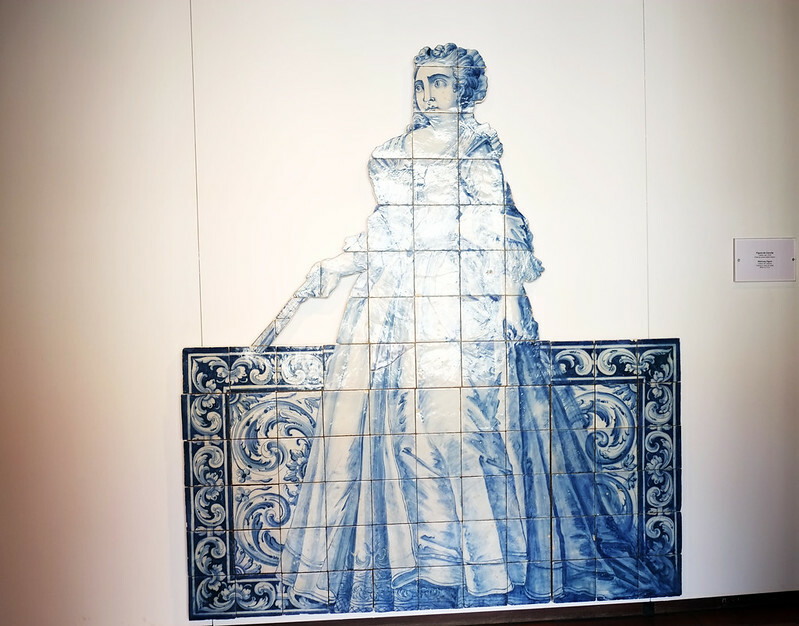 I love tiles and azulejos. I think they attract me because of their patterns and colors. I know Portugal is a paradise for those who love these works of art. Hope I can visit soon. 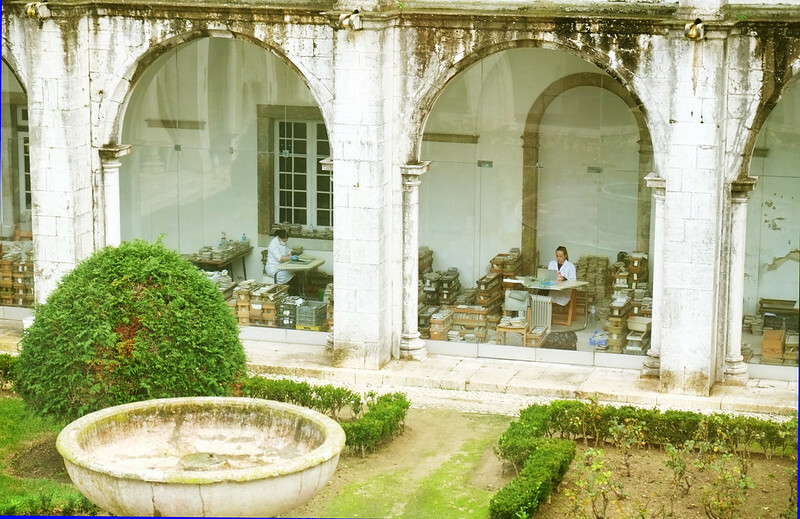 I have been following all your adventures in Portugal thru Instagram. I love tiles, especially when they’re this beautiful! 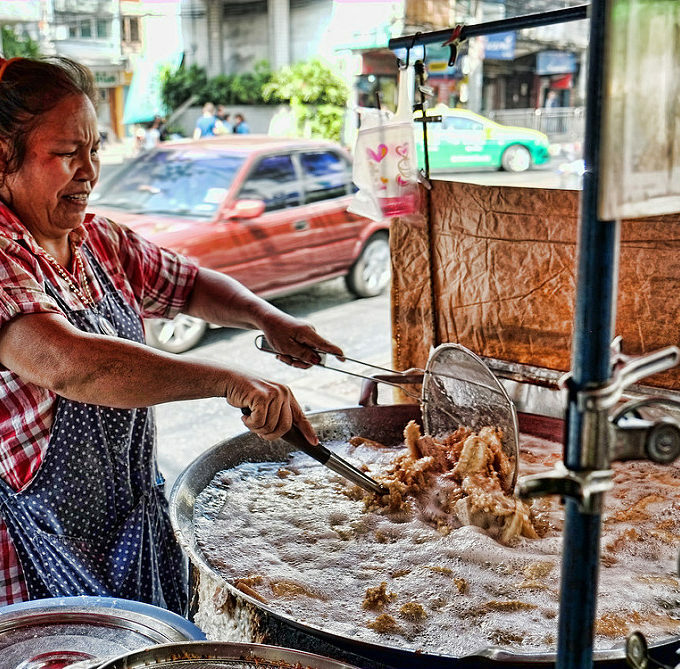 Makes me want to learn how to make them. The colors are so vibrant, especially that last one. We had gorgeous tiled floors in my house when I was growing up then they went out of style and we changed most of them but every time I see the old tiles, they take me back to my childhood and make me feel happy. It’s fantastic there’s a museum dedicated to tiles! Everything is beautiful and it’s wonderful to see artists restoring the tiles. We visited the Tile Museum too and loved it. What a beautiful place and we couldn’t get over how amazing those tiles were. Did you go into the chapel too? There were no artisans during our visit and you’re right it would have been so neat to watch them work. I was told that groups of 10+ can schedule to make their own tiles too. Hi Mary! Yes, I did go into the chapel. It was gorgeous. Something weird seems to have gone on with my camera. I had a series of black “photos:, and those must be the ones that I took in the Chapel. I’m not sure why they came out black. The chapel was amazing! 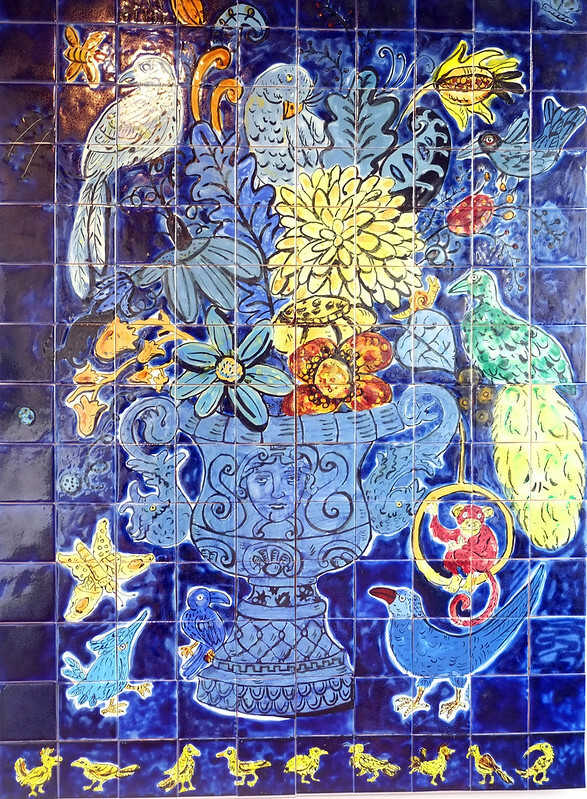 Love, love, LOVE painted tiles – Portugal, Italy, Mexico. . .if they have them, I LOVE them. Great post Nancie! The blue and white tiles remind a little of the blue tiles in the Blue Mosque in Istanbul, although not as intricate. They really do tell a story. I’m loving Portugal so far. I had the pleasure of going to this museum with #Viking River Cruises and we had a tile painting class. 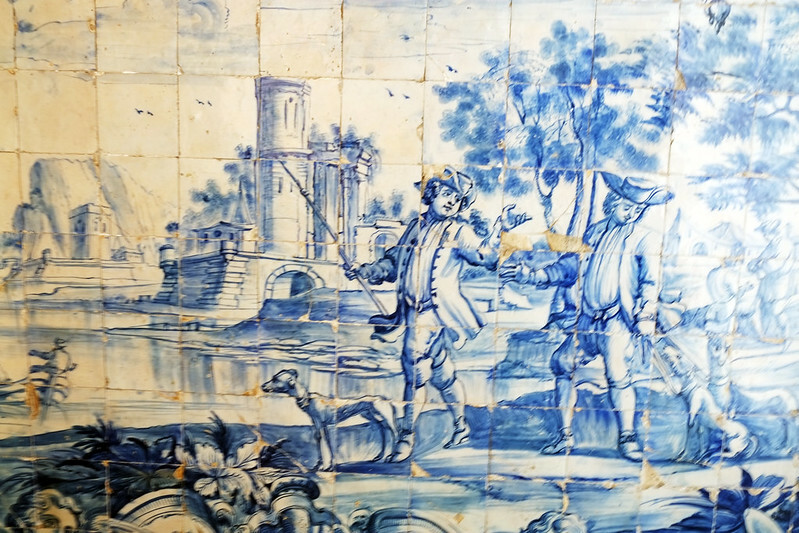 Then they baked and finished the tiles and gave them back to us in Porto. Mine looks like something proud parents of a 4 year old would display and I have it sitting out and get a good memory and a chuckle every time I look at it. That was a hard place to get good photos because there was a lot of reflection.